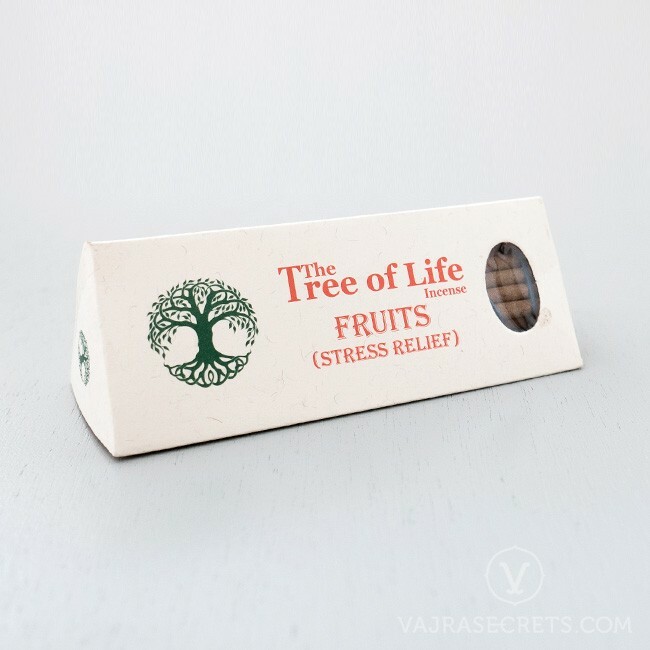 Inspired by the fruit-bearing tree, these Tree of Life incense sticks are hand-rolled from amber resin and other carefully harvested Himalayan herbs, oils, resins and spices. 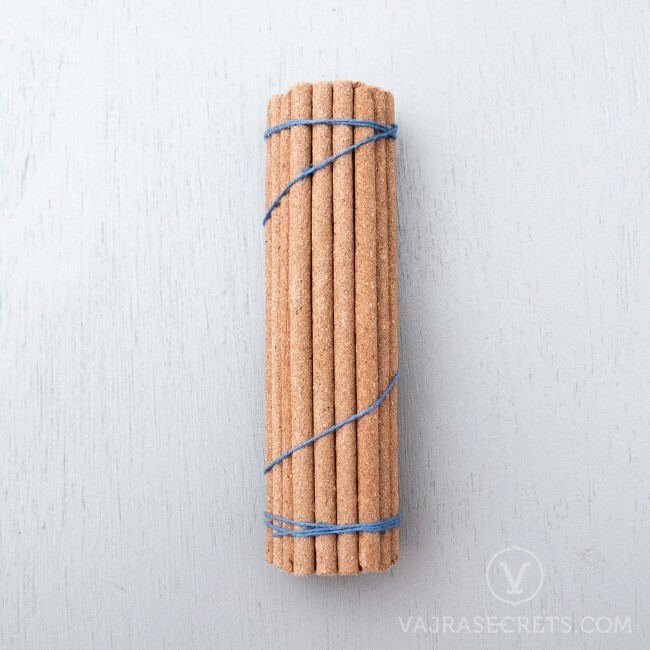 This all-natural incense blend is a natural stress reliever, and reminds us to always engage in virtuous actions as we only reap what we sow. Recommended for yoga, meditation, relaxation and as an offering to the Buddhas. 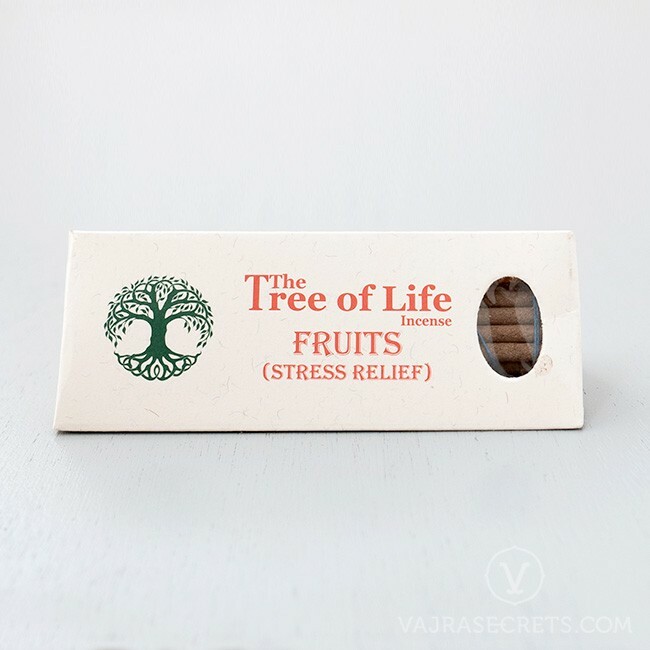 Inspired by the fruit-bearing tree, these Tree of Life incense sticks are hand-rolled from carefully harvested Himalayan herbs, oils, resins and spices. Formulated primarily from amber resin and a traditional herbal mixture, this all-natural incense blend is a natural stress reliever, and reminds us to always engage in virtuous actions as we only reap what we sow. It is recommended for yoga, meditation, relaxation and as an offering to the Buddhas.